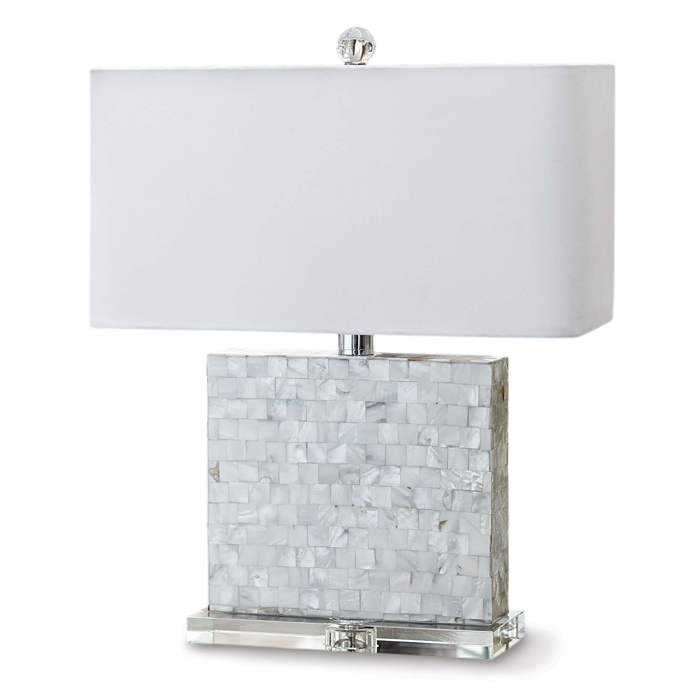 Bliss Mother of Pearl Lamp with Crystal Base. 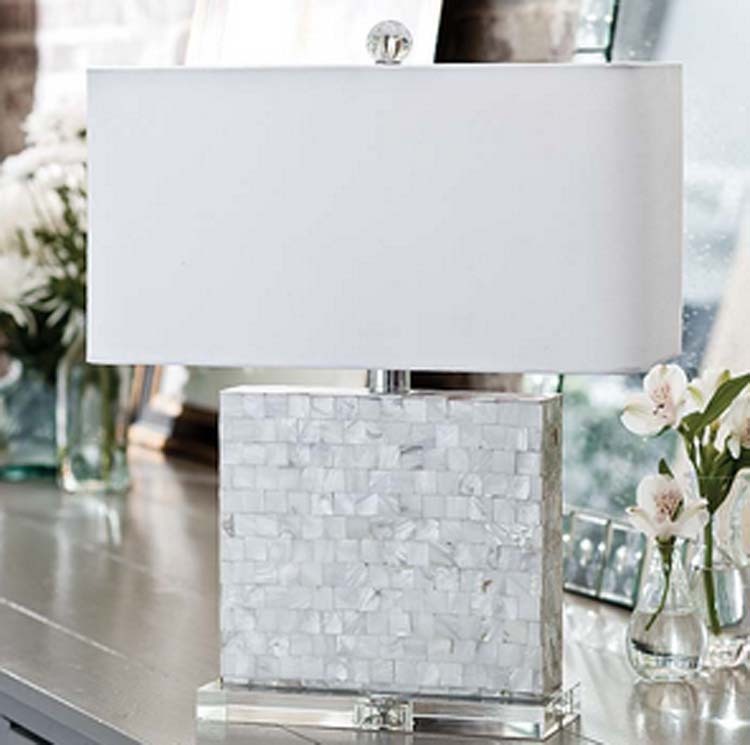 Vintage style with modern flair for a home collection that's truly timeless. A lot of light for little real estate, this exquisite lamp will work in any area of your coastal home. Accepts two Type A bulbs - 60 watt maximum each (not included). Line switch.